The nave of the church Hofkirche in Innsbruck. 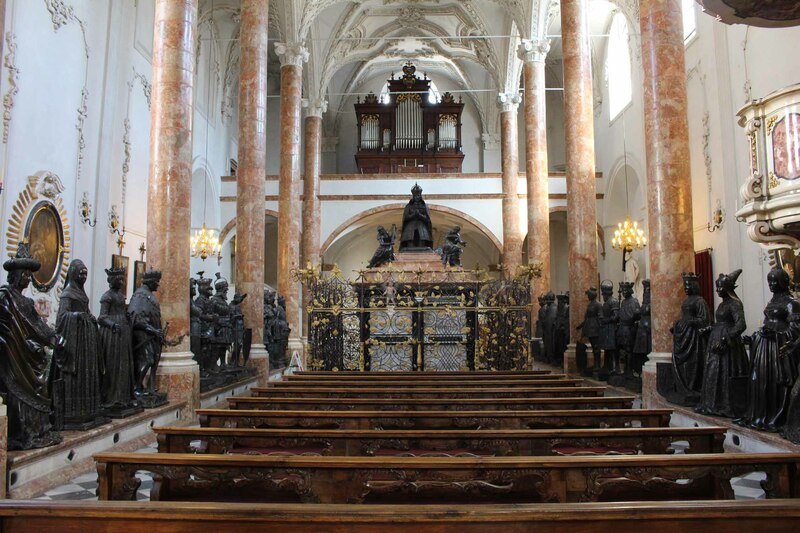 Hofkirche plays the role of Tyrolean national sanctuary since the uprising of 1809. Hofkirche shelters the grave of Andreas Hofer (1767-1810).